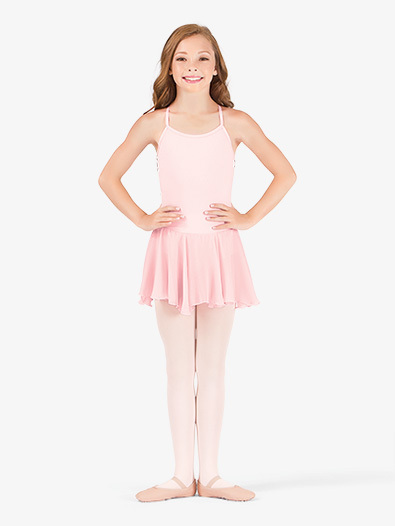 A dance wardrobe must have! This simple camisole dress features an attached chiffon skirt and cross back straps with a keyhole back opening. Dress has a memory stretch front lining.